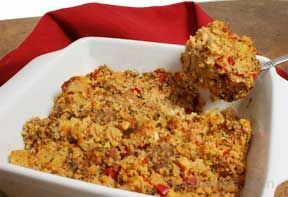 Make this savory stuffing, featuring poultry seasoning and thyme, a holiday tradition at your house. 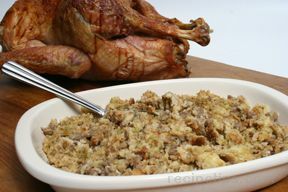 The oven-baked stuffing is the perfect complement to roasted turkey or turkey breast. 1. Preheat oven to 375° F. Melt butter in large skillet on medium heat. Add celery and onion; cook and stir 5 minutes. Stir in thyme, poultry seasoning, seasoned salt and pepper. 2. Place bread cubes in large bowl. Add celery mixture and broth; toss gently until well mixed. 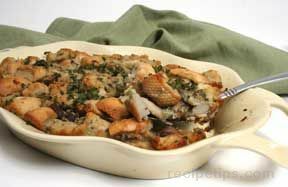 Spoon into lightly greased 13x9-inch baking dish. 3. Bake 35 minutes or until heated through and lightly browned.